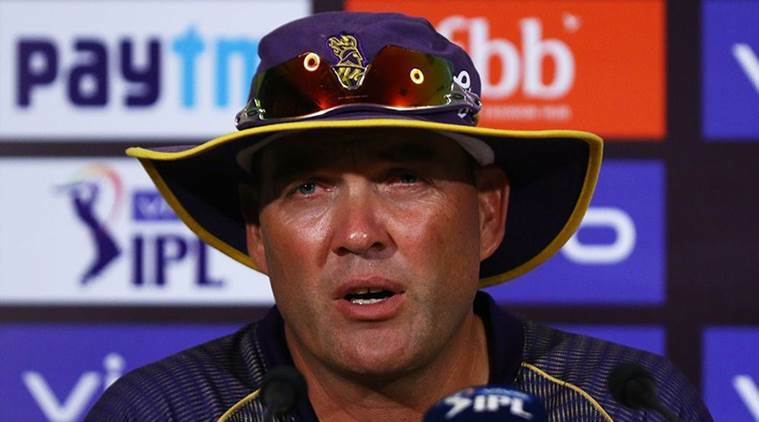 Kolkata Knight Riders coach Jacques Kallis said that the players can now spend time with their family and friends before regrouping after playing five matches in nine days. Kolkata Knight Riders coach Jacques Kallis said that the upcoming five-day break that the team will be getting was much needed for the squad. “We’ve played five games in nine days and the guys are pretty tired mentally. It will be good to get away and have a break not playing cricket for a couple of days and then work hard and be ready for Friday,” Kallis said after KKR’s five-wicket defeat to Chennai Super Kings at the Eden Gardens. The defeat to CSK was their third successive loss and Kallis had talked about the how the players were “mentally tired” after their previous defeat against Delhi Capitals. Before that, KKR had played against Royal Challengers Bangalore, Rajasthan Royals and Chennai Super Kings away from home. The team now enter a five-day period in which they have no matches. “I think the break has come at a good time for us. Sometimes you can get caught up a little bit too much in it. It’s about spending some time with friends and family,” said Kallis. KKR were looking set for a 200-plus total on Sunday before Imran Tahir’s dismissal of Chris Lynn and Andre Russell in the 15th over broke the momentum completely. They ended up with a total of 161/8. “We got to come back stronger and win at least four from six. One game at a time. The guys are hungry to do well. It’s basis mistakes that we are making. Once we eradicate that we will bounce back,” said Kallis. “I thought we controlled the game pretty well for 16 overs and then four overs really poor batting cost us. 170-175 probably would have been par on this wicket. The luck is obviously going with Chennai at the moment. They are on a roll. We just got to stop making basic mistakes and that’s the problem. For 16 overs we played well but unfortunately, we did not finish well,” said Kallis. Kallis was all praise for his 40-year-old compatriot Imran Tahir’s performance on Sunday. Tahir ended the match with figures of 4/27 and provided the impetus for CSK to push for a win. “He just landed the ball in the right areas. He just keeps it very simple and that’s formula for success in this format. I think at times you make wrong choices and he took advantage of that. He’s been a fantastic performer in this format for a long time now. Obviously, he has got some good skill and understands his game and how to go about it. That shows your age is just a number,” he signed off.